Move from Tasmania to anywhere in Australia and Save Money! Moving to mainland Australia? 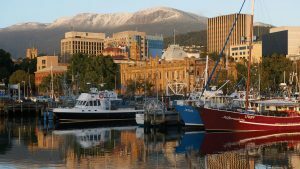 Looking to relocate from Tasmania? Any interstate relocation can get expensive, and you’d think that crossing waters would be too. But it doesn’t need to be. For cost effective and efficient shipping container removals in Tasmania, trust Australian Container Removals to meet your needs. We have depots located in Hobart & Burnie. Get in touch with our interstate removal specialists to hire a 20 foot shipping container. You’ll save money by loading up the container yourself with your furniture, household and important possessions. Once that's done, we’ll transport your precious belongings to your new destination and pick up the empty container once you’re done. How easy is that? ?